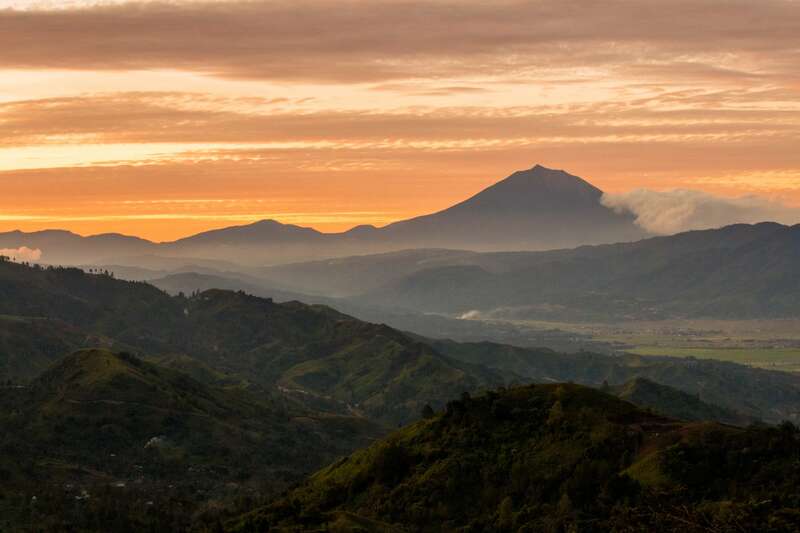 The Kerinci region of Sumatra offers you opportunities to climb, hike or swim your way to adventure. From the massive Kerinci Seblat National Park, to the highland valley it surrounds, what follows are various highlights in the northern, central, and southern parts of Kerinci, as well as an interactive map to help you plan the perfect trip. Keep in mind that it takes around three hours to travel all the way from the north to the south of the valley — it’s a massive region to explore! This is just a small selection of the highlights. At 3,805m, Gunung (Mt.) 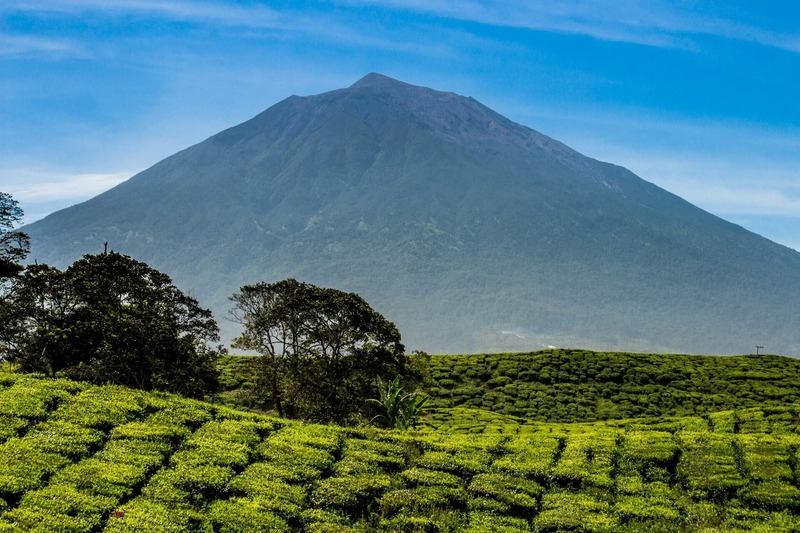 Kerinci is Indonesia’s highest non-Papuan peak, and the highest volcano in SE Asia (actually the highest volcano in all of Asia outside of Iran and the Kamchatka peninsula of Russia). Climbing the mountain is not the only thing Gunung Kerinci is good for. Its forested slopes are famous among birdwatchers, and provide primary habitat for a slew of other creatures, including the Sumatran tiger. More photos here. Are you up to the challenge? Check out our itinerary here. This mountain is just across from Mt. Kerinci, but is a much easier (3-4 hour) hike. 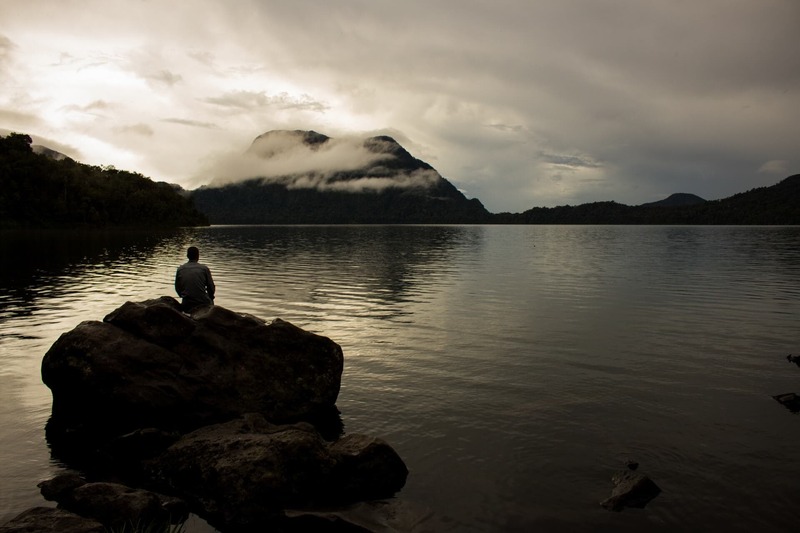 At about 2,000 meters you will find a large, pristine crater lake surrounded by virgin rainforest and seven mountain peaks that rise for another 800 meters or so. It’s the highest volcanic crater lake in SE Asia. At the top, if your guide has arranged for it ahead of time, you can rent some of the local fisherman’s dugout canoes and paddle across the lake to set up camp. More photos here. Interested in exploring this lost world? Check out our itinerary here. 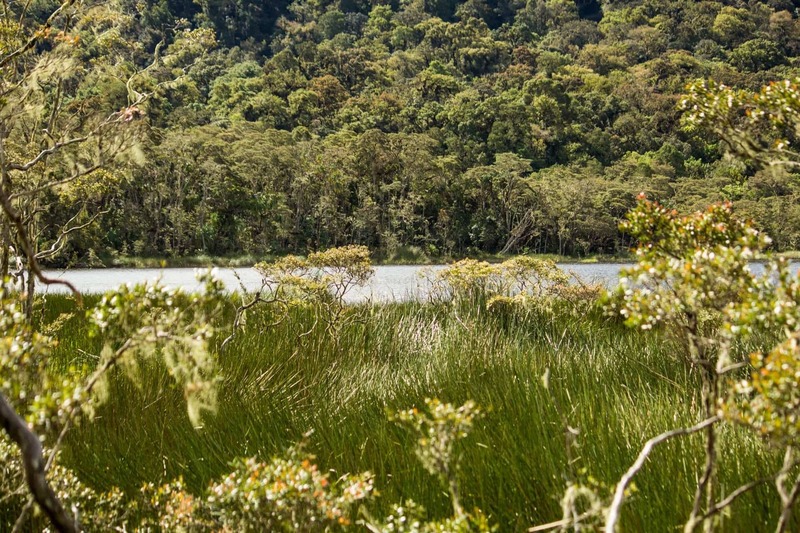 The Ladeh Panjang Wetlands, at the western foot of Mt. 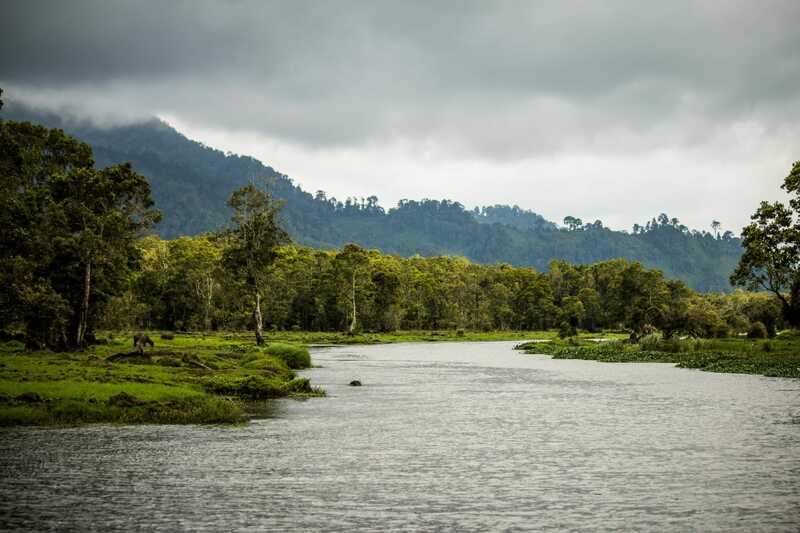 Kerinci and deep within the Kerinci Seblat National Park, is the highest wetlands in Southeast Asia at over 2000 meters in elevation. 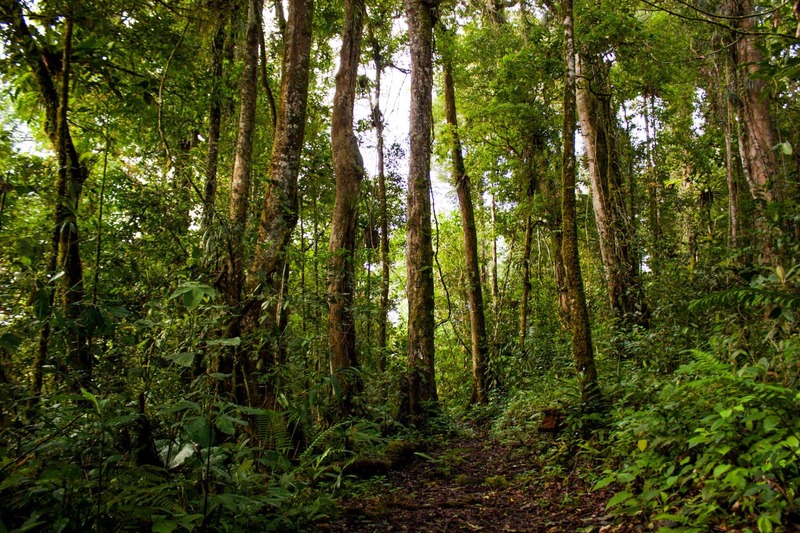 The trail there takes about 6 hours or less of fairly easy hiking, with four of those hours through primary rain forest of the Kerinci Seblat National Park. 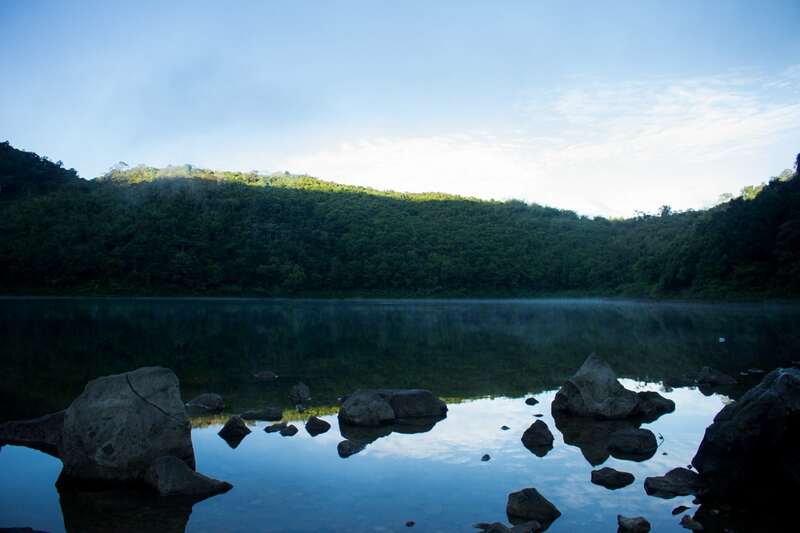 Two lakes can be found within the 150 hectares of wetlands, Danau Singkarak and Danau Sakti, the latter of which takes a further three hours to reach. The marshlands and the primary forest surrounding it are home to a wide variety of wildlife, including barking deer, tapir, and tigers. For more pictures, check out my album here. If you’re interested in trekking to this rarely-visited place, check out our itinerary here. Located at the foot of Mt. 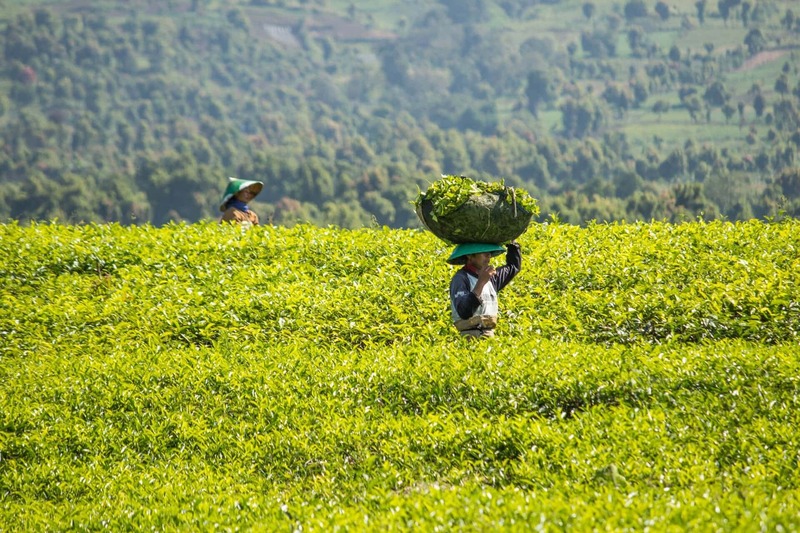 Kerinci, the tea plantation was planted during the Dutch era and is now the largest tea plantation in the world. It’s also the second highest in the world after Darjeeling, at over 1600 meters. Walking through the endless fields of green while breathing in the cool, fresh air is a lovely way to spend the morning or late afternoon. The Aroma Pecco park is a nice oasis in the fields, with old trees and a shaded footpath surrounding a little pond. Employees at the tea factory near the village of Bedeng VIII (Delapan) are usually more than happy to give a tour of the facilities and teach visitors about the tea-making process. More photos here. At the foot of Gunung Tujuh are the Rawa Bento wetlands, a destination point for migrating birds from as far away as Russia. From the village of Jernih Jaya, you can take a canoe on the Sangir river upstream through the swamps to their starting point in Lake Bento. Keep an eye out for monkeys, birds, and other wildlife along the way. 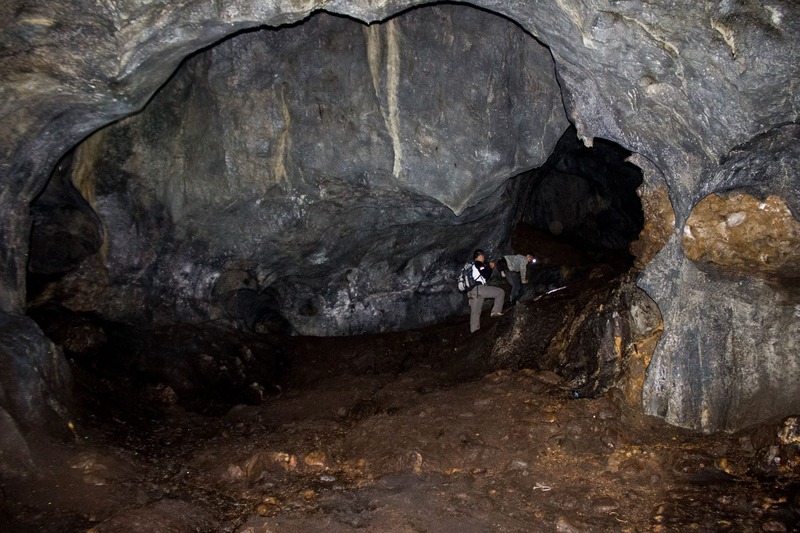 The Goa Kasah Cave near the village of Renah Kasah, is possibly the largest cave system in Kerinci. It has yet to be fully explored. 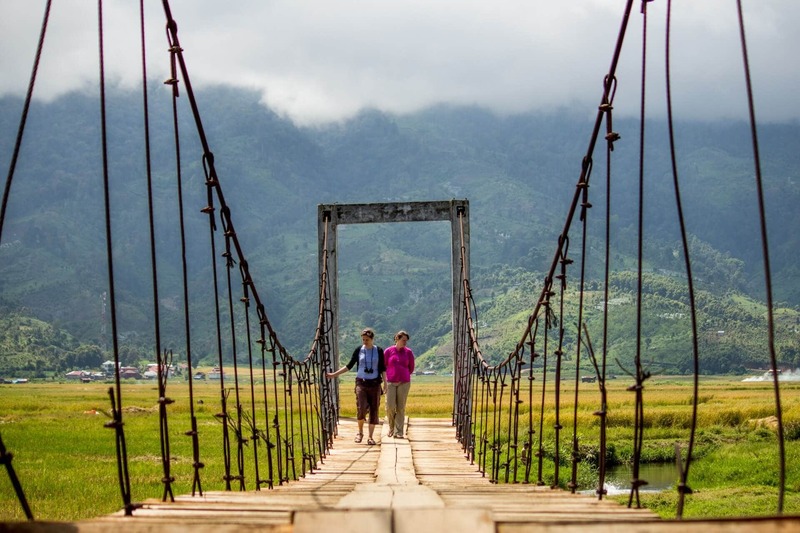 A trek to the cave system starts at the village of Sungai Sampun, and takes you through beautiful rice fields skirting the edge of the Rawa Bento swamps, before coming to the forested foothills closer to the village. The walk takes about two and a half hours one way, making it a good day trip. More photos here. 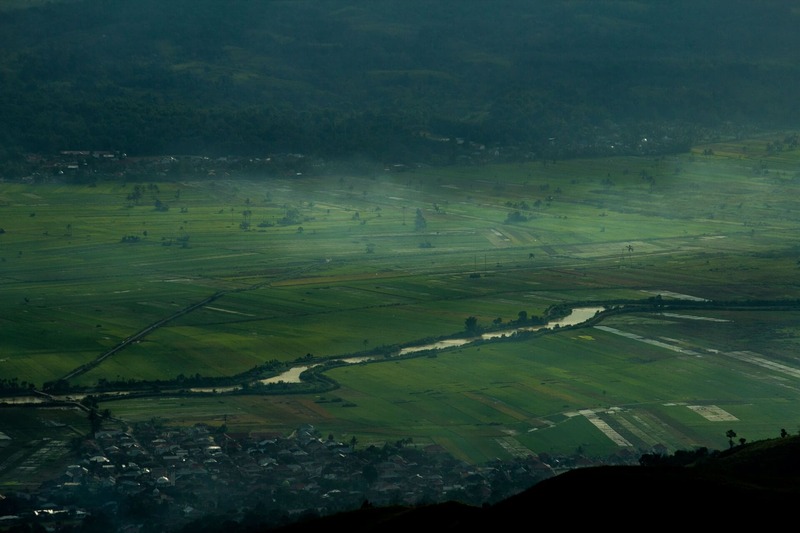 Sungaipenuh is the main village in the Kerinci valley, and falls right about in the middle. With this centralized location, it’s a great jumping off point for other parts of Kerinci, and it also has the only true hotels in the valley (all fairly small and inexpensive). If you’re interested in some cultural immersion in town and throughout Kerinci valley, check out this unique itinerary here. The market, locally known as the pasar. Although there is very little in the way of tourist souvenirs anywhere in Kerinci, the daily wet and dry market is extremely lively and a great place to meet people and see daily life in action. The National Park office is a great source of information, and outside of Kayu Aro, it’s the only place to buy tickets necessary for visiting the National Park. It’s also possible to buy T-shirts designed by some of the National Park rangers. Mesjid Agung. “The great mosque” is probably the most famous attraction in town. It was built without nails in 1874. This charming mosque features intricate wood carvings and brightly painted designs inside and out. Usually traditional clothing is available to rent for a small donation, necessary before being allowed to enter. For women, bring a headscarf for covering, just in case. Hand-made batik workshop. This is found in the old part of town east of the pasar. It can be interesting to watch the process as they craft the batik with traditional Kerinci motifs, and their prices are very reasonable. Also nearby is the area of Renah Kayu Embun, a highland plateau at the foot of Gunung Raya with a lot of farmland bordering pristine forest to the west. This scenic overlook is located about a half an hour up into the hills above Sungaipenuh. It’s possible to hire an ojek motorcycle taxi in town to take you up there, but costs can vary wildly-expect to pay between 25,000 and 50,000 IDR. There’s also a small fee of 4,000 IDR to pay at a checkpoint a little bit before you reach the top. A sunrise or sunset spent up there is time well spent. Click here for a time lapse of a cloudy morning on the mountain. Danau Kerinci, by far the largest lake in the Kerinci region and its lowest point at 710 meters, is a great place to watch local life unfold. 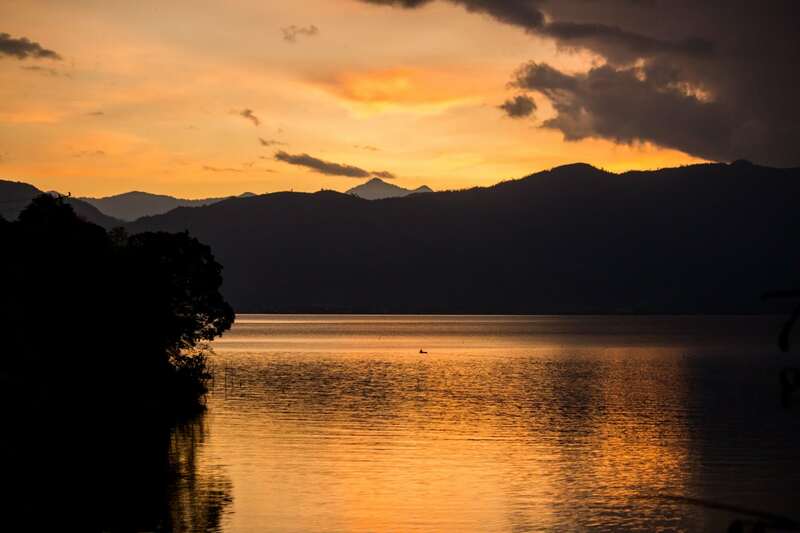 It’s possible to join with local fishermen in their daily routine, eat in a number of floating restaurants along its shores, or just relax at the Lake Kerinci Recreational Park in Sanggaran Agung and watch the sun go down. On its northern banks, near the village of Ujung Pasir, there is also a large colony of Flying Fox fruit bats – watching them take flight at sunset is an awe-inspiring experience. The Bukit Tapan road connects the town of Sungai Penuh with the coast of West Sumatra and Bengkulu, and cuts right through the middle of the Kerinci Seblat National Park. Walking or driving along the road, especially in the early morning/late afternoon hours and even at night, is a great way to spot some of the beautiful fauna and flora of the region. 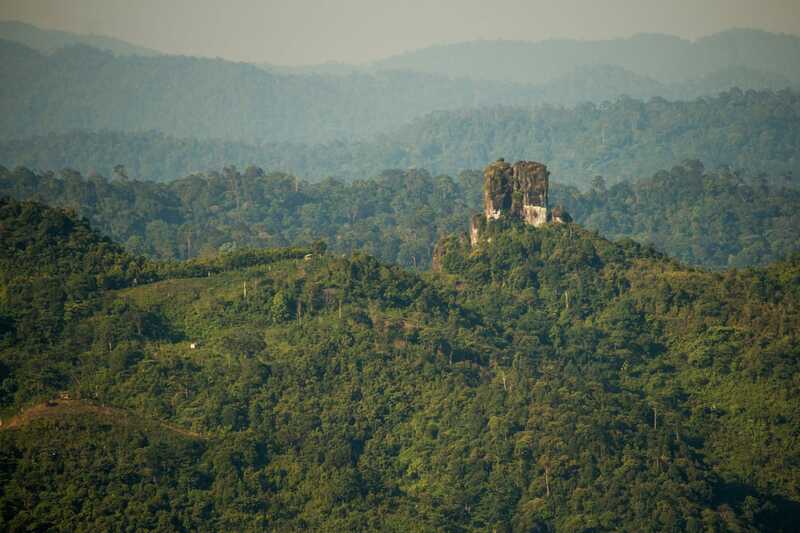 The start of the forest is about a 30 minute drive into the mountains to the west of Sungai Penuh. View more pictures here. Check out our night safari on the road here. 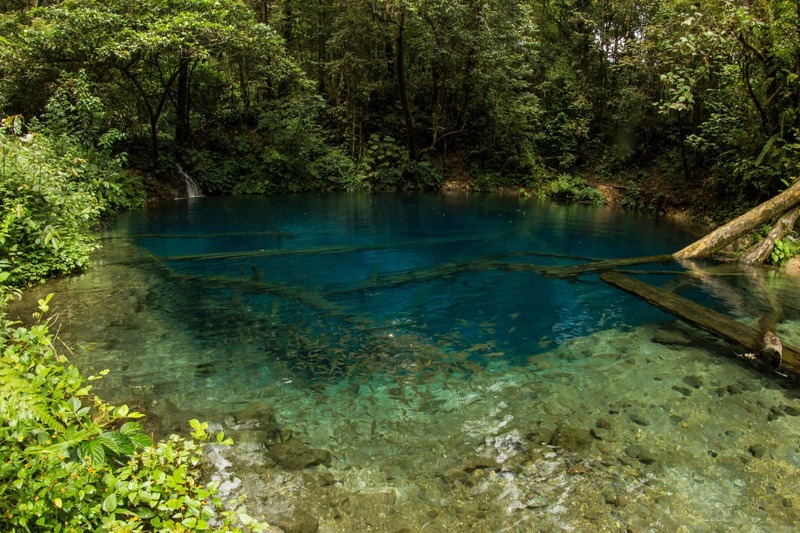 Danau Kaco, translated as glass lake, is a striking, bright blue lake of volcanic origin found in the southern end of the valley. It’s about a three-hour hike through the jungle from the village of Lempur, one hour and fifteen minutes south of Sungaipenuh. The trail is fairly flat and easy, but can be a bit muddy at times, and there is a shallow river crossing. Bear Grylls visited the lake in Season 2 Episode 10 of Man vs. Wild. Check out our one day itinerary here. Beside Danau Kaco, there are a number of other lakes surrounding Lempur as well: Danau Lingkat, Danau Duo, Danau Nyalo, Danau Kecik. Each one has a slightly different color, ranging from green to black. A great circular trek over three or four days can take you to all five, and provides a great opportunity to explore different landscapes found in Kerinci – from farmland and highland cinnamon forests, to wetland areas and lush rainforest. See some more images of the different lakes scattered around Kerinci here. Our multi-day itinerary (which includes a visit to Lake Kaco as well), can be found here. This active volcano is in the southern end of the valley, so named Kunyit (“turmeric” in English) for the abundant sulfur that can be found on the mountain. 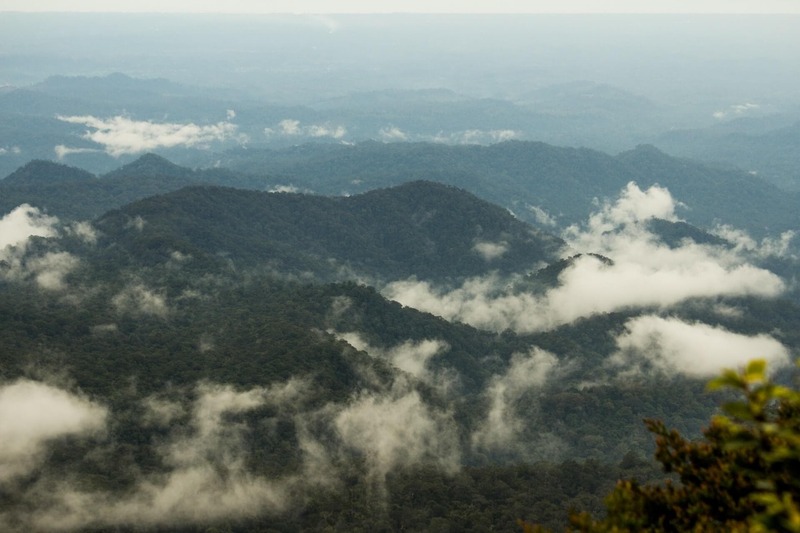 During the six hour trek to the summit, you pass through enchanted cloud forests and encounter steaming sulfur vents, making for an interesting climb. The starting point is the village of Talang Kemuning, one hour south of Sungaipenuh. Within the crater, a bubbling hot spring can be found after a short hike, and there is the mystical “Taman Dewa” or Garden of the Gods where the local hero Depati Parbo meditated, supposedly gaining invulnerability to Dutch bullets as a result. Check out our itinerary to the volcano, as well as the nearby hot springs here. This village is found along the scenic Merangin river, on the road leading eastward to Jambi city. About three hours from Sungaipenuh, the village and its surrounding area are a lower elevation than the rest of Kerinci, and provide great opportunities for seeing wildlife, including large mammals (or signs of them at least!). The birdlife as well is quite diverse. A few pictures can be found here. The Lempur – Sungai Ipuh trail can take 3-5 days one way. This trail takes you out of Jambi province and into Bengkulu province. From here, it’s possible to get a ride to the Seblat Elephant Conservation Center, which is only a few hours away. Renah Pemetik – Pelompek takes roughly two days, and takes you through beautiful highland farmland and lush forest in the foothills of Gunung Tujuh. Tarutung – Air Liki takes roughly four days, starting not far from Kerinci lake and heading east towards Sungai Manau. Lempur – Renah Kemumu takes about 15 hours of trekking. Renah Kemumu is a small but very old community of about 100 homes completely within the boundaries of the Kerinci Seblat National Park. Due to the volcanic nature of the area, many hot springs are scattered around the valley. The most famous ones are in the village of Semurup, where locals like to boil eggs in the hot water, and bathe in the nearby bath houses. Site 1 in Semurup is the more visited of the sites, however, the second site, “Air Panas Situs 2” is larger, more natural, and more interesting. 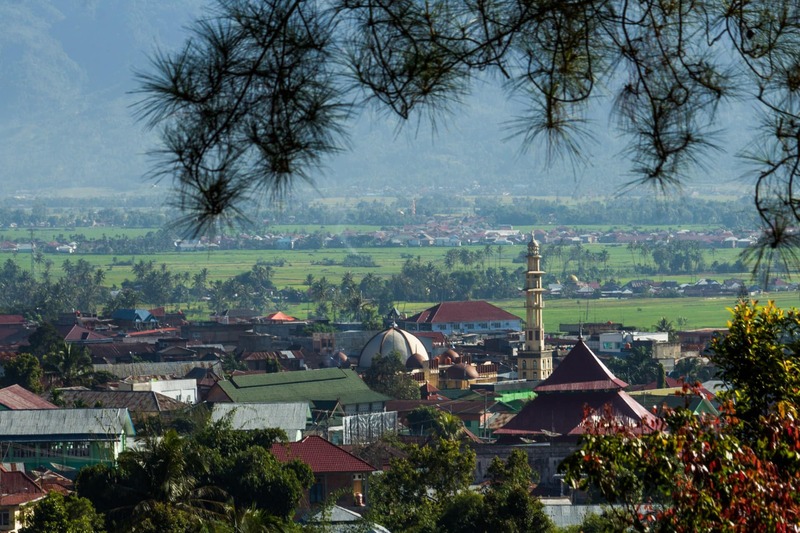 The village of Sungai Medang also has hot springs and bathing facilities. One of the more impressive, and undisturbed hot springs can be found at the foot of Mt. Kunyit, near the village of Talang Kemuning. 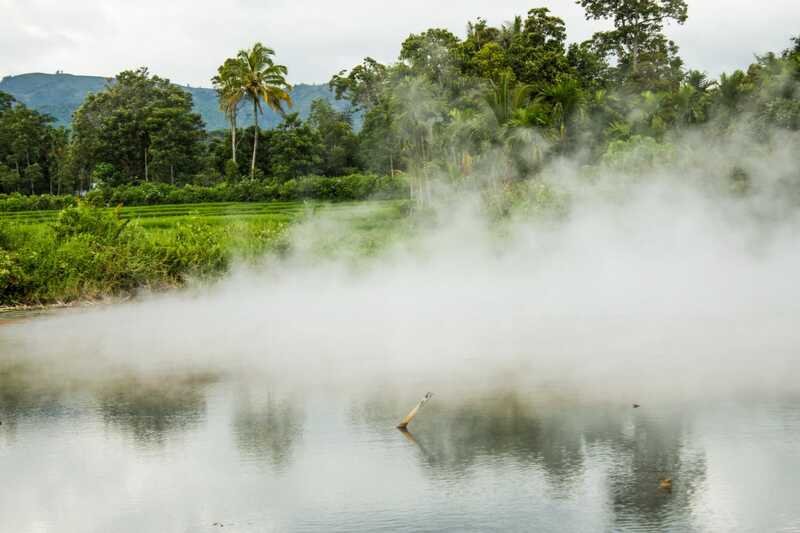 More difficult to reach are the Grao Sakti hot springs, near the forest enclave of Renah Kemumu, deep within the Kerinci Seblat National Park and about a 15 hour hike from the village of Lempur in the south. 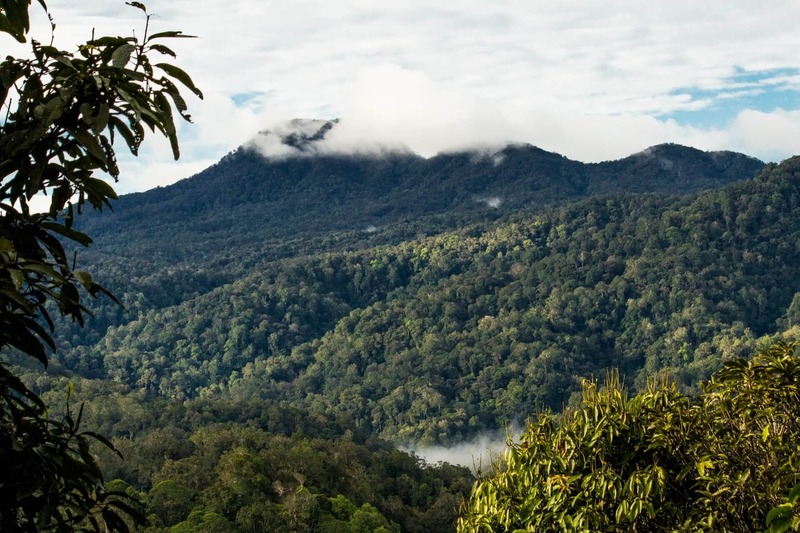 Another site, to the west of Gunung Kerinci, is equally impressive, but takes about three days journey through the rainforest to reach, along treacherous mountain ridges. More photos here. 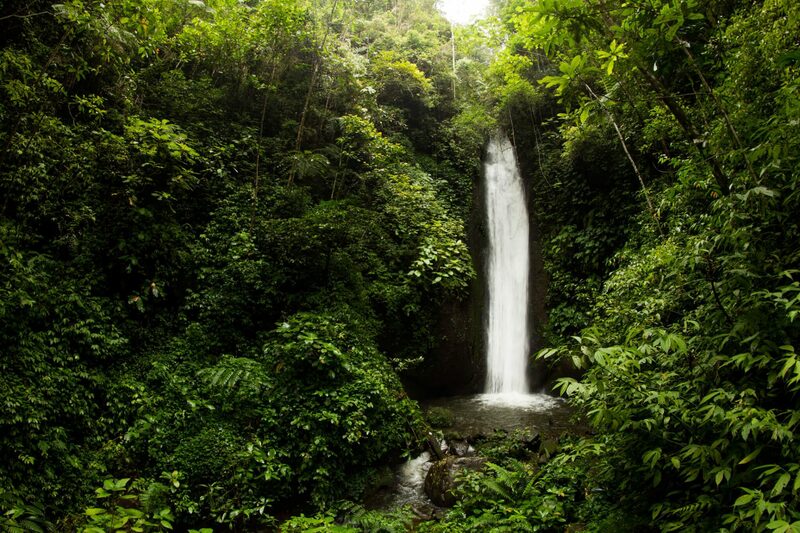 Spread throughout the Kerinci valley are an almost countless amount of waterfalls. Almost every village nestled up against the surrounding mountains has their own unique waterfall. Some are very easy to access, such as Telun Berasap north of Kersik Tua. While others, like the 75 meter tall Pancuran Rayo, are more of a day hike. Other waterfalls can be found near the towns of Sungai Medang, Kumun, Pendung Semurup, Pelompek, Talang Kemulun, and other places. Most of the waterfall locations are actually a series of waterfalls (some as many as 12 in a row), with often a 10 or 15 minute walk between them. 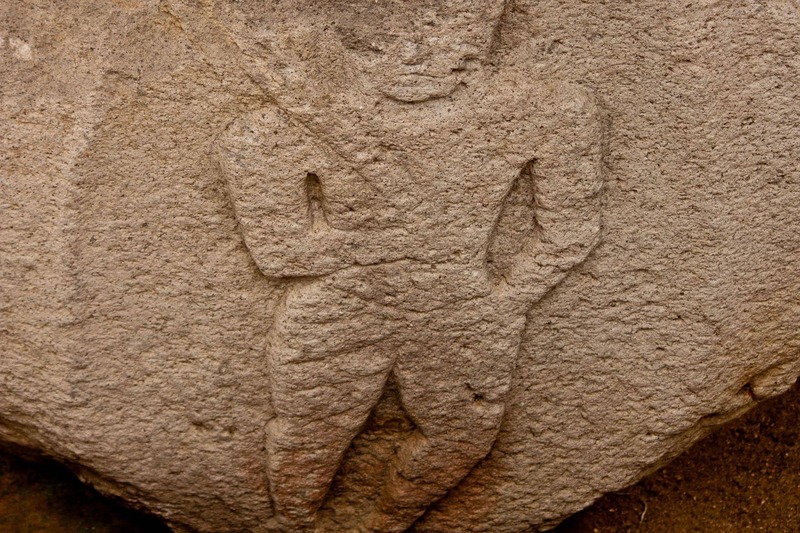 There are also many megalithic stones scattered around the Kerinci Valley, remnants of a 1,000+ year old civilization that no one knows much about. While the stones themselves might not be too exciting for most visitors, the journey to see them is great for seeing the hill farming communities and their crops of coffee, cloves, chilies, and cinnamon. Come discover Kerinci for yourself! Learn about the region, or visit our itineraries page to begin planning your trip. Be sure to check out our travel tips so you’ll be well prepared on your journey to the wilds of Sumatra.